Exploring by bike is a wonderful way to see the Borough and the surrounding area. Mystic Community Bikes is a non-profit, bicycle-sharing program for residents and visitors operating May 1 through November 1 on donated, reconditioned bikes available at 8 conveniently-located distribution centers. There are a number of recommended routes with maps and all it takes is a valid driver's license / ID and a $10 refundable deposit. Call for availability, hours and directions (860) 245-8150. Barn Island Wildlife Management Area / A beautiful coastal area, trails and salt marsh. Bike Stonington / Coastal cycling and inland touring route that includes Mystic and Stonington. Bike Stonington - Long Routes / Coastal cycling and inland touring route that includes Mystic, Groton, Stonington, North Stonington and Ledyard. Spin casters and fly fishermen revere Stonington Harbor because it is a convenient point of departure to the legendary striped bass, blue fish and bonito fishing in the nearby rock ledges around Fishers Island Sound and the churning waters in The Race. Large sport-fishing boats occupy many slips at commercial dock operations in the harbor, while smaller boatyards located in the surrounding coves offer fishermen facilities and services such as launch ramps, slips for small boats, fuel, bait and tackle. Kayakers, stand-up paddle boarders and dinghy sailors enjoy exploring the in-shore waters and coves close to Stonington Harbor. Coastline Surf and Paddle located at Don's Dock Marina offers lessons, rentals, tours and sales of surf and stand-up paddle boards with boards designed for all levels. Lessons include a professional instructor, board, paddle, life vest and a guaranteed good time! 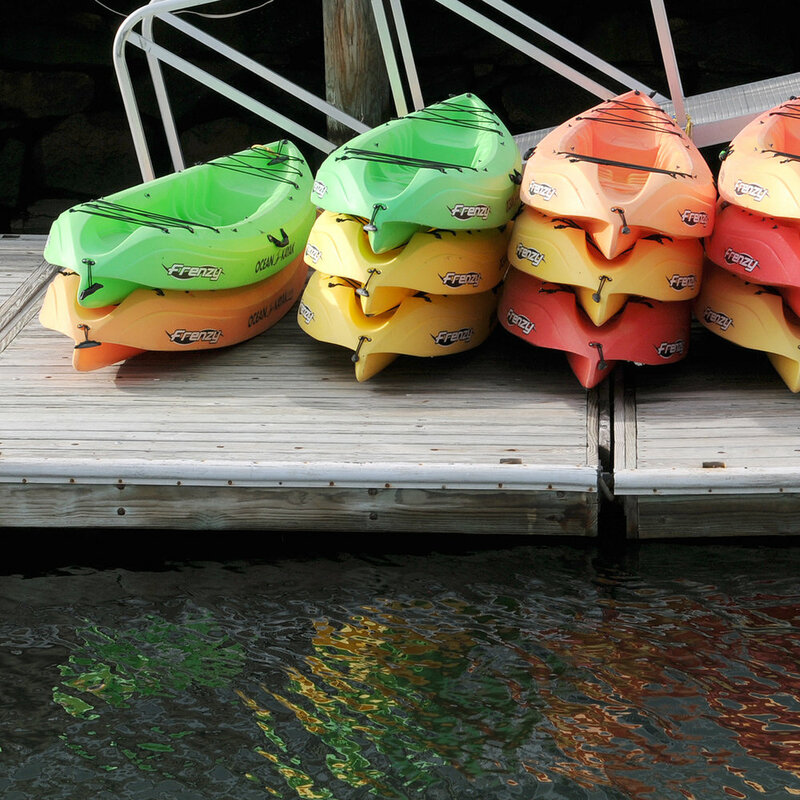 New England Science & Sailing (NESS), a non-profit in Stonington Borough, focuses on education and offers classes in sailing, power boating, kayaking and stand-up paddleboarding. Students passing a “check-out sail” of basic maneuvers can take out one of NESS’s 23-foot keelboats or 21-foot centerboard boats. During the summer, there's a great lineup of SUP yoga and kayak fitness classes. They also offer Stonington Harbor Cruises and private charters aboard their new, open-air Caroline Skiff. All tours and charters are by reservation only. On Route 1, Stonington Marina rents boats, kayaks and paddle boards. They also have restrooms, showers, picnics areas (with complimentary gas grills), a fire pit and a fish cleaning station. There are also a number of boat rentals and charters available on Boatsetter. Individual owners list their vessels for rent for half- or full-day, most with captains included. Pequot Golf Club is located in Stonington just minutes from Foxwoods and Mohegan Sun casinos. Gently rolling terrain and tree-lined fairways challenge golfers of all skill levels. They offer golf outing packages, lessons, memberships and weekly specials. Stonington Country Club is tucked away off a country road among 155 acres of rolling hills and meadows. Their PGA professionals provide instruction for all age groups and amenities include a handsome clubhouse, catered dining, full-service bar, platform tennis and extensive practice facilities. Access to the club is membership only, with the added benefits of men's and women's league play, tournaments, social golf outings, themed dinners, holiday cocktail parties and luncheons throughout the year. 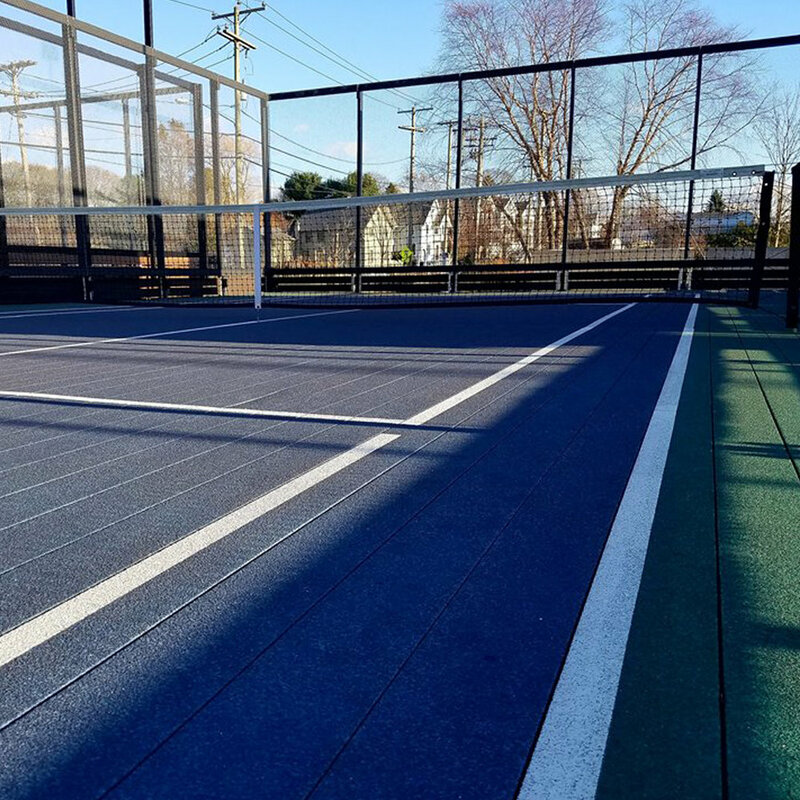 With generous support from donors, the Stonington Community Center (COMO) has recently completed an expansive renovation to their tennis courts. The courts are available to area schools and tennis groups, lessons and leagues are provided in partnership with the United States Tennis Association. If you have a COMO tennis membership, you can reserve private court time and book lessons. Basic COMO members have access to the courts on a limited basis. There are only two public court days (no membership necessary) per year. Check the COMO website for more information. Platform tennis, also known as "paddle" combines the best elements of tennis, racquetball and squash and is the only racquet sport played outdoors in the winter. The courts are lit at night and the COMO offers instructional clinics for non-members, as well as exclusive members-only programs and membership benefits. All clinics are taught by their paddle professionals. Stonington Point is a very popular dive site for the local diving community - so much so that Southeastern Connecticut Skin Divers (SECONN) donated two picnic tables to the site and placed a series of Geocaches in local waters. During the summer, there are groups of divers exploring the site nearly every night, home to a myriad of fishes, invertebrates and colorful algae. Enter on the beach, and you'll quickly find depths of 18-20 ft. Parking is free and located next to the beach. Diving is prohibited from 10 am to 4 pm during the summer.